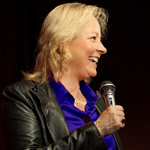 Barbara is an American speaker coach who helps C-Suite executives and directors around the world to effectively engage their audience, develop more stage presence and make an impact. Her speciality is one-on-one coaching for non-native English speaking executives and professional speakers who want to be better speakers, but don’t know how. Barbara helps leaders and TEDx speakers to learn how to tell stories, be vulnerable and engage their audiences with every presentation. Through many TEDx events, Barbara has coached Heads of State, super models, peace activists, business leaders and brain scientists among others. She has coached more than 100 TEDx speakers. She is a social entrepreneur who also focuses on empowerment of women. She uses her company, Successful Speaker Now, to help women to find their voice, confidence and message.